Home / 2016 / September / 2 / What is Salvation and Why is it Needed? Has anyone ever asked you if you are “saved”? It’s the kind of term that makes you want to turn around and RUN! If man does need to be saved, we can immediately rule out religion. Why? Because religion is all about “man’s efforts toward God”, an idea I dispelled in my article, The Difference Between Religion and Real Christianity. 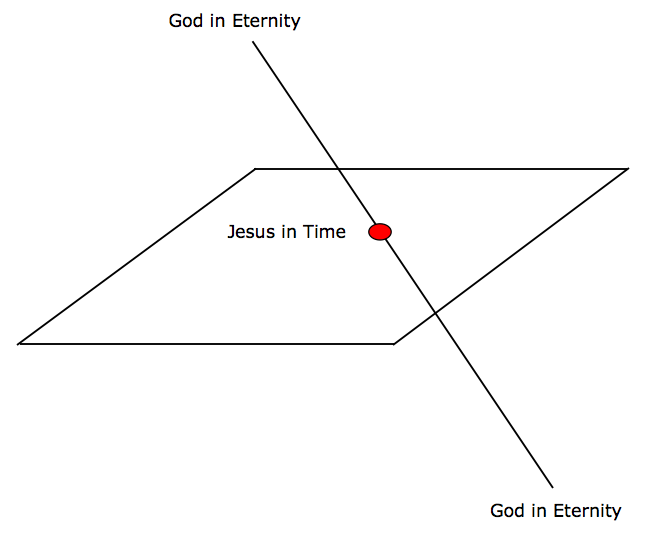 In this article we saw that the FINITE can’t find the INFINITE— that man can’t find God. But he’ll try. He’ll set up rules and expect himself and others to keep those rules in order to “find God”— but it just doesn’t work. So where does man look if he wants to understand his condition— why he has so many problems? Consider the archeologist. An archeologist studies the past in order to understand the present. We can do the same. Is there a record of man’s past? Who he is, where he came from, where he’s going? Most people view the Bible as a religious document, but it’s not. The Bible is actually a document of government. It’s a record of a kingdom that went wrong. It is also a record of what a King would do to set the record straight. I won’t ask you to believe in this document, at least not now. However I would ask you to CONSIDER what it is saying— that you hear the REAL story of the Bible without the religious overtones. Later, if you want to read my article, Can We Trust the Bible?, you could discover the truth for yourself, but for now let’s just see what it has to say about man’s past. The best place to start is in the beginning. That is where the Bible begins. We have to start here because before there was man there was God. God is the CENTER of all creation. Anything that exists, exists because of Him. And anything that exists revolves around Him. So when God made man, man revolved around God. Man was THEOCENTRIC, he was God centered. He didn’t make decisions based on what he wanted, he made decisions based on what God wanted. That doesn’t mean that he didn’t have a free will. He did. He just chose to follow God. Why wouldn’t he? God was good and provided him with everything he could possibly want. There wasn’t any need to go outside the will of a loving God. But then something happened. Man began to DOUBT the integrity of God. Was God holding out on him? Could man be LIKE God rather than a mere servant? Tempted to try, man turned his back on God and becameEGOCENTRIC or self-centered in nature. God no longer ruled man’s choices, man did, but there was a price to pay. Without the unlimited resources of God, man was LIMITED. He could only operate within the SCOPE of his understanding. The choice to abandon God has had a devastating impact on mankind. With EGO at the center of his nature man can no longer see the implication of his choices. It’s all about him. The more he tries to achieve PEACE, the more confusion he brings. The more LOVE he hopes to give the more hate he encounters. A limited mind will always make mistakes and always fail. The Bible calls man’s self-centeredness— sin. Self-centeredness produces a fallen nature— a sin nature (Ego). According to the Bible, man’s sin nature is the center of all his problems. But did God leave man to fail? No, even though man was originally intended to rule over God’s creation, God foreknew that man would fail. God had prepared a plan to restore man to a position of rule from the beginning of time. What is that plan? Many people think God is mad at them about the SIN in their lives, and they try to follow rules to fix it (religion). But God isn’t mad at them. God is concerned about their FALLEN NATURE, because death is the natural result of limited man. After all God created man, how long can a branch live apart from a tree? So in order to help man, God needed to find a way to solve man’s “limited problem” without violating his free will. You see, God won’t just force himself on man if he chooses to go his own way. The only way to do this was for God to enter into the human system and create an ALTERNATE NATURE, an unlimited nature that man could adopt. Just like man’s fallen nature, natures are the result of LIVES LIVED. God can’t just snap his fingers and produce a new nature. God had to enter the human system and LIVE A LIFE so that he could offer it to the world. One thing that God had to be careful of when he entered the human stream was to avoid being born of FALLEN SEED (See my article, Intrinsic Evil, Genetics and the New World Order). If he were born into humanity via the seed of Adam, he would acquire the same fallen nature (limited nature) that every other man has. This would defeat his purpose. So God devised a way to enter the human system via uncontaminated seed. He did this through the “virgin birth”. As explained in the Bible, God placed his own perfect seed in Mary without the aid of fallen man. The result was Jesus, fully man yet fully God. Some people have a hard time understanding how this is possible. The Bible teaches that man is made up of three parts: body, soul and spirit. Being man, Jesus was also comprised of these three elements— with one exception. Jesus’ Spirit was God’s Spirit (the Holy Spirit) making Him fully God as well. Some people will say, but how can God be in heaven if He is on earth? How does the universe operate if God is encapsulated in flesh? To answer that, consider that you are a three dimensional being but you want to exist in a two dimensional world (hypothetical). To enter that world all you’d need to do is reach out and touch it. You’d still exist in the third dimension but you’d also exist in the second dimension at your POINT OF INTERSECTION with it. God can do the same thing. He can exist in ETERNITY and reach out and participate in TIME. Particularly if His goal is to rescue LIMITED man by producing an UNLIMITED nature. But how would Jesus do this? Limited entirely by his five senses, Jesus would have to rely on His Spirit to commune with God in heaven. Think of it this way. You’ve seen the one-way window in a police interrogation room. On one side of the glass you can see in but on the other side you can’t see back. Now God in heaven can fully look at the human reproduction of himself on earth, but Jesus on the other hand, limited by his flesh cannot see back. Jesus by OBJECTIVE FAITH and through the REVELATION of God in His Spirit, walked in complete obedience to the will of God unlike Adam before him. A lifeLIVED. A PERFECT NATURE CREATED. Through Jesus, God now has the unlimited nature he sought for man. But how does He transfer that nature to man? I’ll cover this in my next article, The Importance of Repentance in the Process of Salvation.